This simple dessert recipe is sure to please. Mascarpone and peaches is an old recipe that makes a light and easy after dinner treat. Mascarpone cheese is usually sweetened with sugar or honey and is used in many Italian desserts. It is the main ingredient in tiramisu. This cheese from the Lombardy region of Italy is rich and creamy and is made from the milk of cow’s that are fed a very special diet. 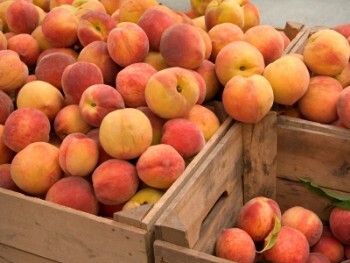 For this mascarpone and peaches recipe it is best to use fresh peaches. This recipe doesn’t call for it but you can grill the peaches before combining then with cheese mixture. Add the peaches to the water one at a time and cook for 30 minutes. Peel off the skin, remove the pit and cut the peaches into halves. Place in a bowl and add the liqueur and lemon juice. Spoon the cream into the peach halves. Sprinkle the top with toasted almonds. Chill for around 30 minutes and serve with amaretti cookies.